Keeping important documents, business cards and appointment reminders organized can be challenging. 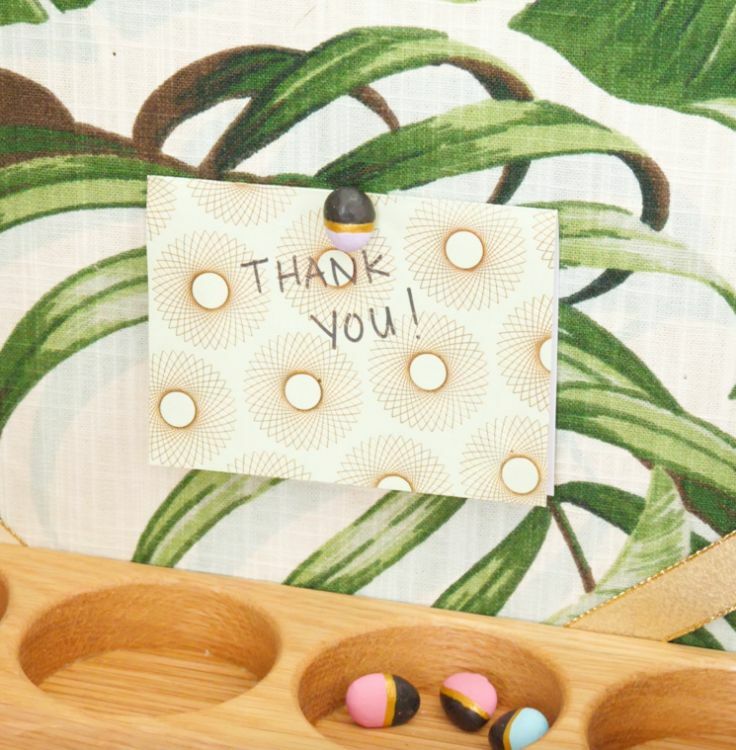 When it’s time to get those notices out of the drawer and onto some highly visible corkboard, brighten up this useful tool by adding a few personalized and painted pebble pushpins. 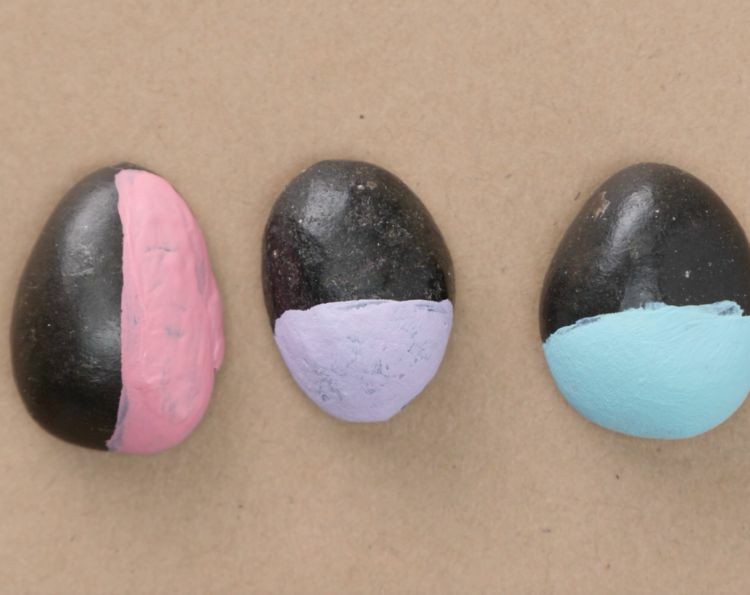 A decorative pebble pushpin is a fun way to liven up the place in the home that keeps information current. Painted pebble pushpins are also an easy way to add some color to the wall without having to go far for the necessary materials. 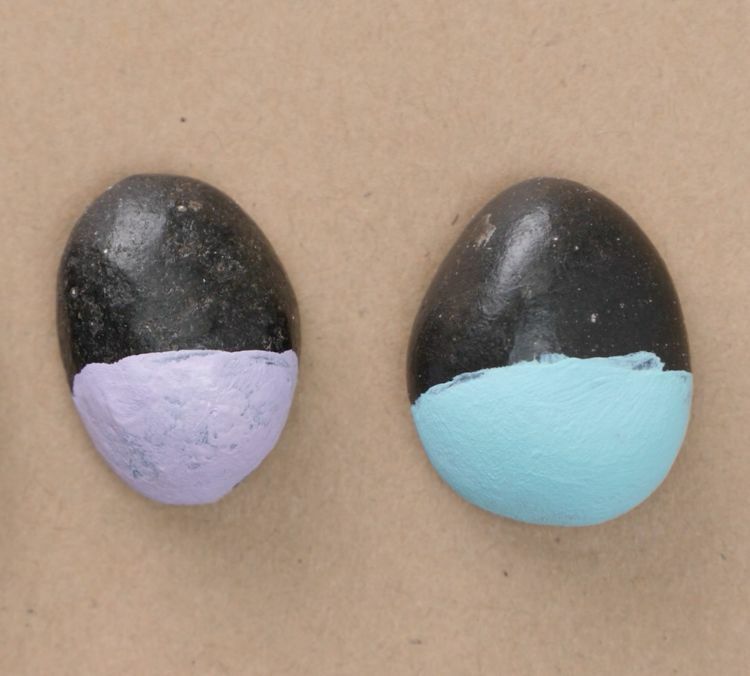 While crafting pebbles are convenient for this DIY endeavor, these pins could just as easily be created using stones found outside in the front yard. Feel free to mix and match paint colors for a one-of-a-kind pushpin look that keeps those important items well secured to the wall. 1. 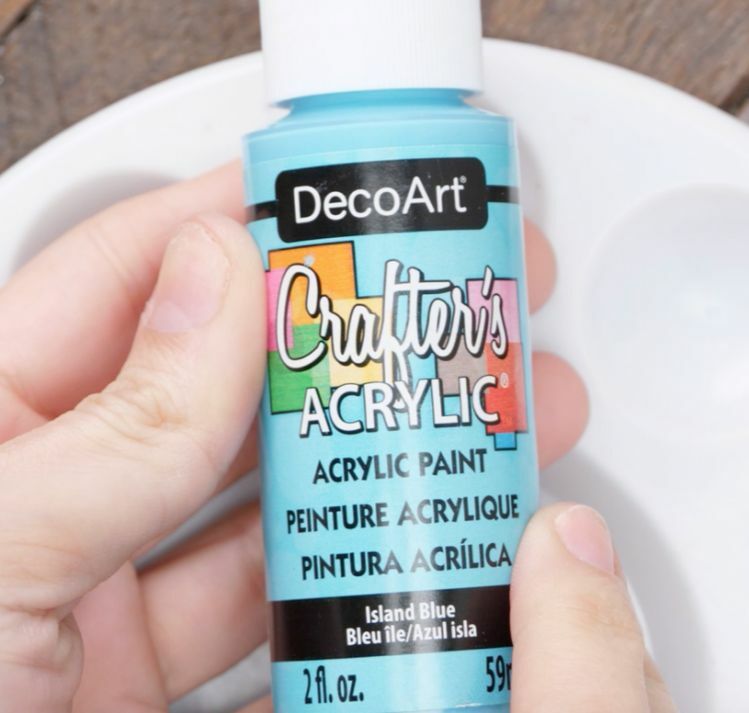 Fill a single circle of a round paint palette with blue acrylic paint. 2. 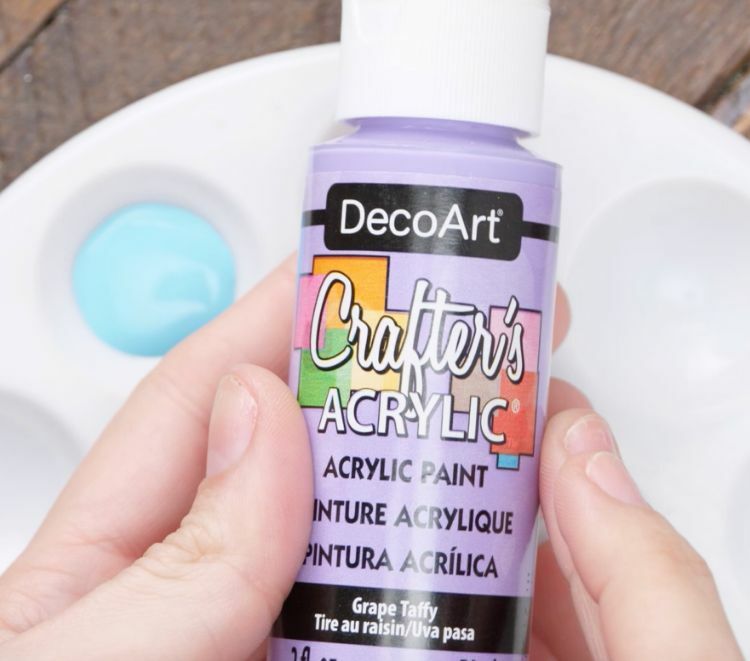 Fill a second circle with purple acrylic paint. 3. 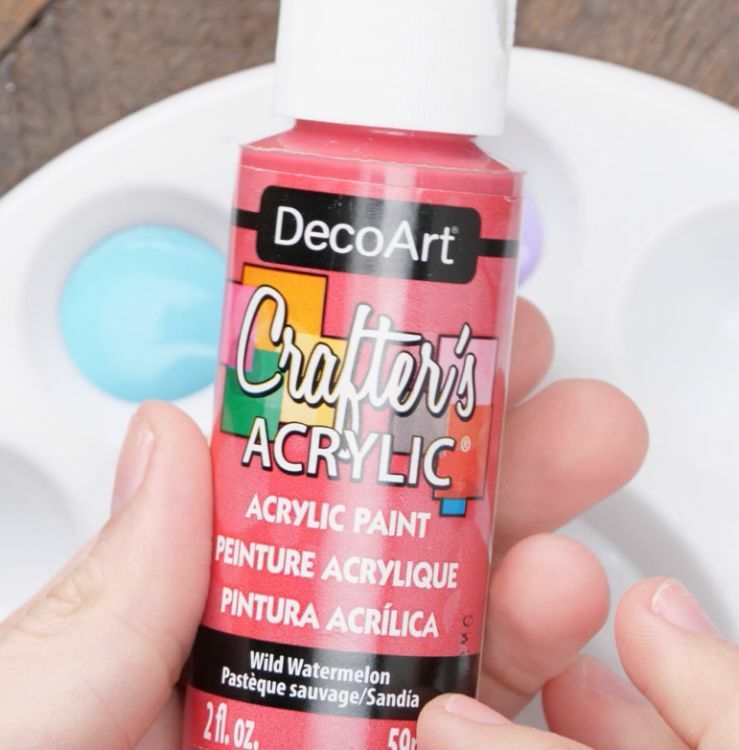 Fill a third circle with red acrylic paint. 4. 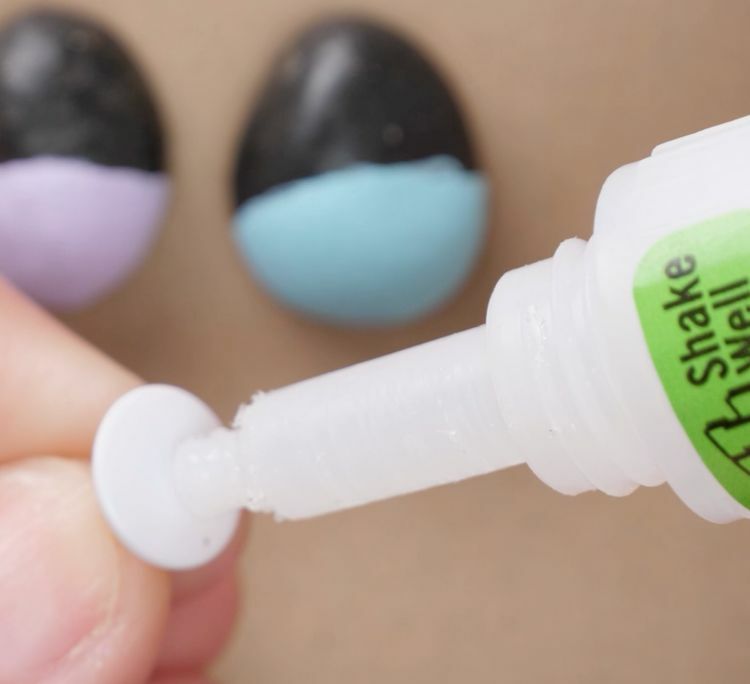 Add a drop of white acrylic paint to each of the circles containing colorful paint. 5. 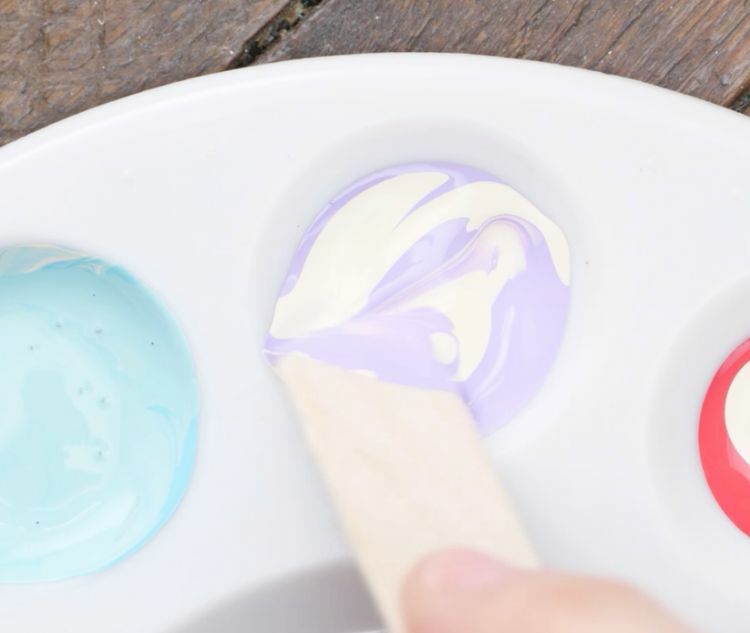 Mix the white acrylic paint into the colorful paints using a wooden tongue depressor to lighten the hue to a pastel. 6. Place a piece of brown construction paper flat on the table to protect the working surface. 7. 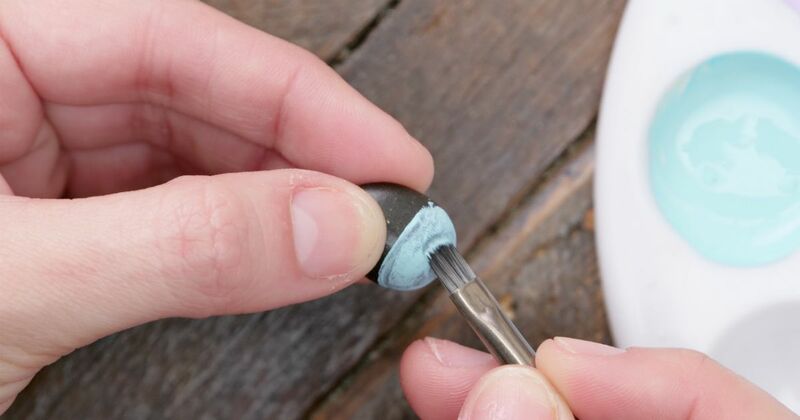 Paint the bottom half of a small black pebble using the blue paint and a small paintbrush. 8. 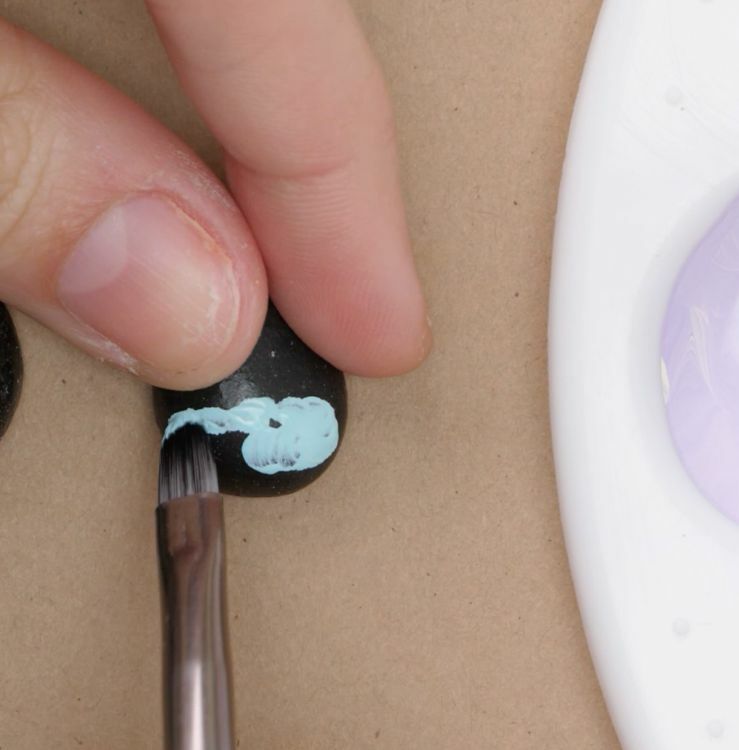 Paint the bottom half of a second small black pebble using the purple paint. 9. Paint the bottom half of a third small black pebble using the red paint. 10. Once dry, place a small circle of super glue gel to the flat side of a pushpin. 11. 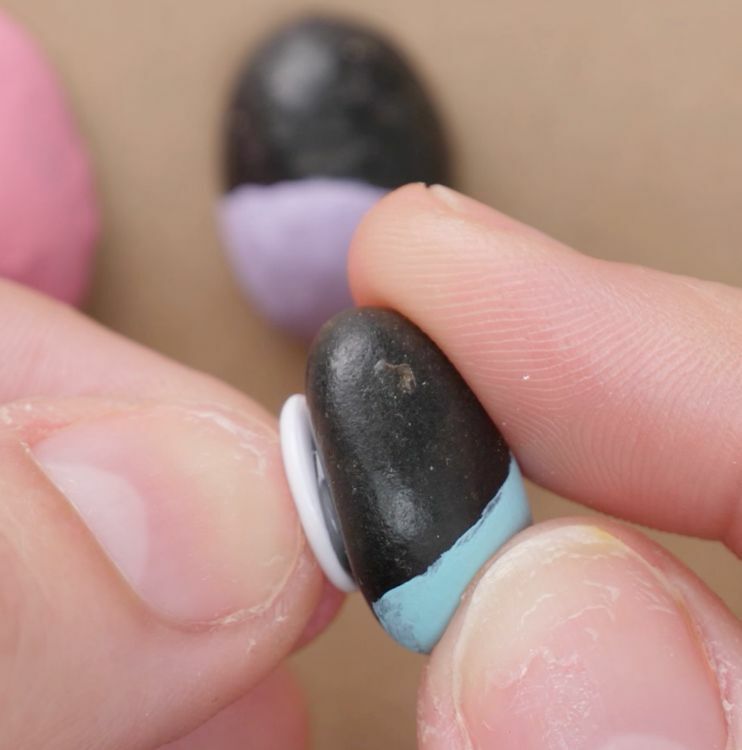 Press the pushpin against the unpainted side of the pebble to attach the two together. 12. Repeat for the two remaining pebbles. 13. 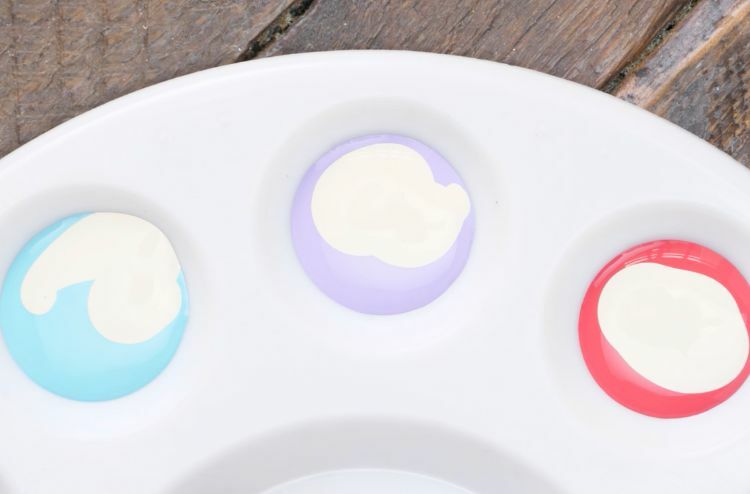 Fill a fourth circle of the round paint palette with gold acrylic paint. 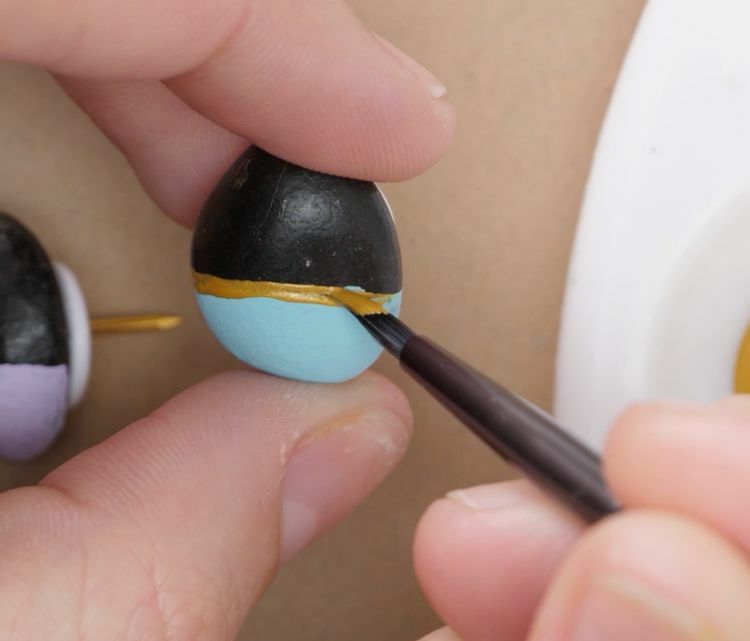 Paint a thin gold band across the center of the pebble face connecting the colorful bottom portion and the natural top half. 14. Repeat on the two remaining pebbles. 15. 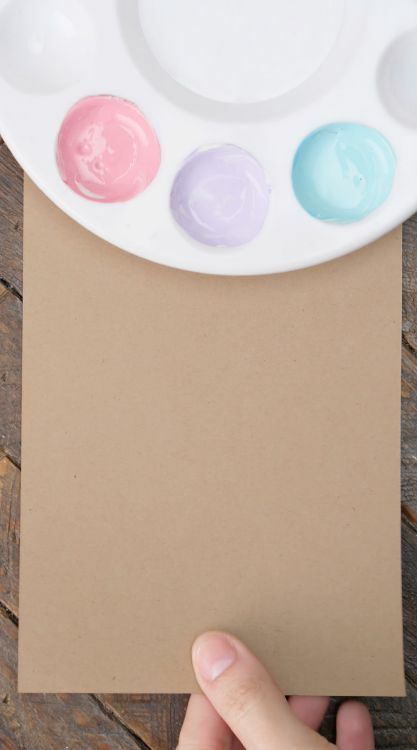 Once dry, use the painted pebble pushpins to hold paper items securely to a corkboard.